A request for information in May elicited responses from Bell, Boeing, Leonardo Helicopters, Airbus Helicopters, and Mitsubishi Heavy Industries. 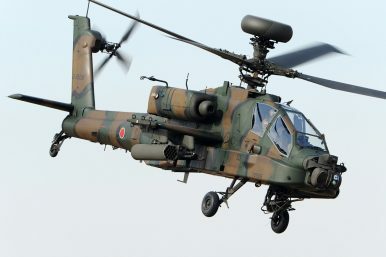 While the requirement was previously designated AH-X, this appears to have changed to NAH for ‘New Attack Helicopter.’ The deal is aimed at replacing the AH-1S, and possibly other types in service with the Japan Ground Self Defence Force. The RFI appears to be broadly based, as evidenced by the diversity of responses. These comprise dedicated attack helicopters, as well as a proposal from MHI to repurpose legacy UH-60s as weapons platforms. Marinisation, or the ability to operate in a littoral environment, appears to be an important element, as well as the platform’s ability to communicate with other assets in the battle space. Also important is interoperability with platforms operated by Japan’s main ally, the USA. There do not appear to be direct offsets for the deal, but Tokyo wants to gain intellectual property. Given past precedents local production is likely to be a major consideration. Flight Fleets Analyzer shows that the Japan Ground Self Defence Force operates 71 AH-1S attack helicopters, of which Bell produced two and Subaru (formerly Fuji Heavy Industries) 69. The average age of these rotorcraft is over 30 years. In addition, Tokyo operates 12 AH-64Ds and 36 Kawasaki OH-1 scout helicopters. Bell promoted its AH-1Z attack helicopter at the show. Lt. Gen. George Trautman (ret. ), a former US Marine Corps Aviator, said the Bell offering is the only helicopter in the mix designed with marinisation in mind. He says that other helicopters may operate from ships periodically, but that extended operations are challenging, and can cause electromagnetic interference with other ship systems. Boeing touted the connectivity of the AH-64E Apache. Tommy Dunehew, vice-president international sales at Boeing Defense, Space, & Security, stressed the Apache’s ability to network with other platforms. He noted that while the AH-64 family is not marinized, it offers a degree of marinisation, with the AH-64E offering improvements in this area against the D model. Leonardo, meanwhile, touted the developmental AW249. It is willing to offer a full industrial package in support of its bid, with options to modify the platform locally. Airbus Helicopters is proposing its H145M equipped with its new Hforce weapons system. MHI, working with Lockheed Martin’s Sikorsky unit, proposes upgrading legacy UH-60s with new Honeywell CTS800 engines and adding the ability to carry weapons. The company explains that the ability to perform swing roles offers great flexibility. A request for proposals is expected in the coming months, but another RFI is considered possible given the broad nature of the first request for information.